Founded in 1979 by guitar-store owner Carl Grefenstette, Bogus Records jumped into the national market with one of the country's first hometown series, Made In Pittsburgh, Vol. 1. Grefenstette's primary motivation was to put his favorite local bands on vinyl so that he wouldn't have to keep re-threading his reel-to-reel tape machine. Unknowingly at the forefront of the local compilation scene, Grefenstette and Bogus were featured in Billboard and other major magazines, and Made In Pittsburgh, Vol. 1 sold across the U.S. and Europe. Among the ten acts on Vol. 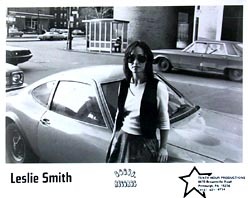 1, were Leslie Smith, now a captivating national act, and Gravel, starring singer/songwriters Bob Corbin & Dave Hanner, who later went on to score numerous gold records writing for Mel Tillis, The Oak Ridge Boys, Alabama and Hank Williams Jr.
BOGUS followed Made In Pittsburgh, Vol. 1 with two more compilation LPs, naturally titled Vol. 2 and Vol. 3, plus several records by a driving force in the Pittsburgh music scene, The Flashcats. As a gift to their fans, The Flashcats have recorded a yearly Fan Club Christmas Record on Bogus since 1980. Most of the early Bogus projects were engineered and mixed by Lee Hollihan, without whom Bogus wouldn't be what it is today. In 1984 The Flashcats met and began to record with one of their heroes, Bull Moose Jackson, the R&B legend who had a string of hits in the '40s, including the classic Big Ten Inch Record. The Bogus 45 Get Off the Table, Mabel (The Two Dollars Is For the Beer), and subsequent LP, MOOSEMANIA!, were Jackson's first new recordings in more than 30 years. The international success of these records revived Jackson's career and led to dates across America and Europe and an appearance at New York's Carnegie Hall. Sadly, Bull Moose Jackson passed away in 1989. In late 1990, impressed with the quality of many new Pittsburgh bands and the new CD technology, Bogus got busy. The first Bogus CD was The Flashcats' Christmas Record #10, 10 years of Fan Club Christmas songs. The Frampton Brothers and the SPUDS quickly followed. By 1991 BOGUS was again making international news with the release of a tribute to Sonny Bono, BONOGRAPH ... Sonny Gets His Share. BONOGRAPH features 16 bands from across the country performing Bono compositions, and has been mentioned on MTV and CNN, in People Magazine, The Wall Street Journal, and most every newspaper in America. Sonny's wife, Mary, the good one, even bought some CDs to give away as gifts. Even as he saw his guitar store, Pittsburgh Guitars, get busier than ever, Grefenstette kept Bogus moving through the `90s with releases from Planet Leo, Phil Harris, Bull Moose Jackson's The Final Recordings, and of course, the annual Flashcat Christmas Record. In 2010, The Flashcats released a 4-CD, 100 song collection to celebrate Christmas Record #30. For the 2012 Christmas season, Bogus entered the video world with two videos by The Flashcats, "Santa Claus Needs Some Lovin' Too" and "Time To Decorate The Neighborhood." Over the last few years Bogus Records has entered the live production arena, producing a yearly musical comedy revue entitled Night Of The Singing Dead. The 2016 show, Night Of The Singing Dead #24, was a tremendous success. Additionally, Bogus, in conjunction with Worldwide Filmworks, is developing a new Video Series called "Musicians With Guitars Drinking Wine." In 2014, Bogus signed a new act, The Wurms, and they released CDs in 2014, 2015 and 2016. Christmas 2016 brings The Flashcats Christmas Favorites, a 14-song CD featuring Fan Club favorites from three decades of Flashcat Christmas Records. In 2017, Bogus will also be releasing an assortment of video retrospectives celebrating 38 years in the music biz. If it's not BOGUS it's not Real! Artists Contact Discography Hear Here! Copyright © 1999-2014 Bogus Records, Inc.